Proteins are the building block of the body. Muscles, skin, hair, eyes everything’s made up of protein. Your daily protein intake plays an important role in terms of the overall health and function of your body. By taking in enough protein you will gain and maintain muscle in conjunction with proper weight training and rest. But how much of it do you really need? What is the ideal number for your diet and your goals? Ah, the great protein debate. Ever since people realized that diet is just as important as exercise in building muscles, everyone has been talking about protein consumption. This question is often brought up by people who are new to fitness and bodybuilding – even versed veterans have different opinions over the matter of how much protein one should consume. Now, there is no doubt that protein is an important component in muscle building – this is an accepted fact. What people are less sure about, however, is just how much protein everyone should be eating to see their desired gains. One of the reasons that there is so much of confusion is because there are wildly varying theories. Ask a bodybuilder, dietitian, and a doctor and you are likely to get a different answer every time. This is hardly useful in helping you build muscle. It is time to settle this debate once and for all and determine just how much protein you really need to be eating for muscle building purposes. Have you ever looked up what your recommended daily protein intake should be? If so, you have probably realized that most of the information is directed at sedentary individuals those who don’t exercise. If you lead somewhat of a sedentary lifestyle, it is advised that you eat 0.3 gm to 0.36 gm of protein for every pound that you weigh. If you hit the gym quite often should be eating between 0.4 gm to 0.6 gm for every pound you weigh. If you are a professional athlete or spend most of your day working out, you will probably require about 0.8 gm to 1 gm per pound of bodyweight. How much protein should you really be eating to add more muscles to your frame? As mentioned, the amounts provided above are more like guidelines rather than rules if you are looking to build muscle mass. This means that more often than not, you are going to need to find what works for you, specifically. Of course, averages are quite helpful in providing you with a baseline for how much you should be eating. For an average sedentary adult who isn’t involved in any kind of physical activity. 0.5 grams of protein per pound of body weight. If you are into sports, exercise regularly, or if you are trying to improve your body composition. 0.8-1 grams of protein per pound of body weight. If your primary goal is adding more muscles to your frame. 1-1.5 grams of protein per pound of body weight. 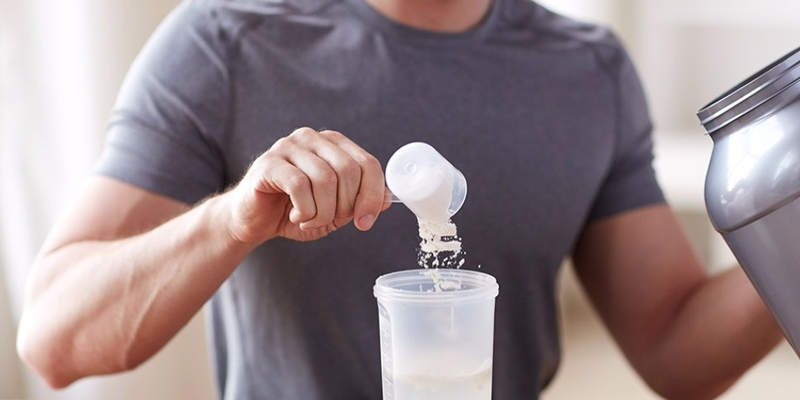 An advanced lifter can and should eat up to 2 grams of protein per pound of bodyweight. Simple, eat 10-20 more egg whites per day. Eating 40-50 egg whites is no joke, and that’s why you don’t see jacked guys everywhere. Let’s say you weigh 180 lbs and you want to add more muscles to your frame. To calculate your daily protein intake you need to multiply 180 * 1-1.5 (based on your goal)which should be between 180-270 grams per day. This is especially good for those that are at their preferred body weight but are looking to build muscle mass. I recently increased my protein intake significantly. I used to eat about 120-150 grams of protein per day at a body weight of 180 lbs. It helped me grow muscles, get in shape. Now I eat about 225+ grams of protein per day. I am training twice a day. Cardio in the morning and intense lifting in the evening. I am making progress faster. You will grow muscles and your body composition will improve as long as you are eating 0.6+ grams of protein per pound of body weight. It not only depends on your genes but also on the constant supply of amino acids into blood, which is a different science altogether. But if you want to add lean muscle mass faster, eating more is better. — If you are somewhat overweight and looking to lower your overall body fat percentage, then eating according to your body weight will not help. This is because you will end up consuming a much larger number of calories than you need. Which means if you weight 250 lbs looking to get down to 180 lbs. Use 180 lbs as your weight (reference) when calculating how much protein you should be eating. What you should do instead is figure out what your ideal body weight is. Imagine for instance, that you are about 5’10 and would like to weigh around 180 lbs. You should be eating the same amount of protein as a man who weighs 180 lbs. You should, of course, be reducing the amount of carbs and fats that you eat as well. What Should Your Protein Sources Be? Now that we have covered how much protein you should be eating, let’s move onto that other pressing matter – what should you be eating? Below is a quick, simple and basic list of the most common high protein foods. If you are a vegetarian you will need to ensure that you are eating a variety of foods into your diet. Aiming to eat a little more protein rather than less is what will prove to be more helpful to you. This is a good strategy to follow regardless of what you weight loss or fitness goals may be. It will make sure that all areas of your health and training are taken care of.